I am a crochet addict. I have several projects on the go and have about a million more things I want to make. I have been regularly posting some of the things I'm making on Instagram and have had a huge amount of questions on the subject. Hopefully todays post can answer some of those questions. I learned the basic chains of crochet and how to make a circle years ago as my mum had taught me. However, I never really made anything other than headbands for Esra, I never took the plunge to make larger projects. 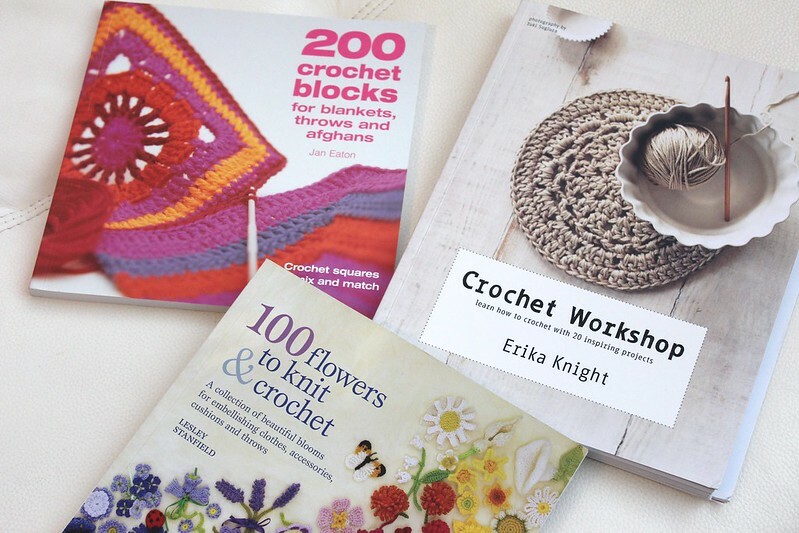 I became more interested in crochet after discovering Pinterest and purchased a few books to inspire and teach me. I have also watched a few YouTube videos and became more confident and experimental with the things I make. I'm using 'Sublime'egyptian cotton for this project. I would also recommend watching THIS video to get the technique. I also made a cushion with the same concept of the popcorn flower and then turned it into the traditional granny square. I made a cardigan for Esra, a blanket for her dolls and some flowers for potential headbands. I made her a warm cozy hat with 'Sirdar' Indie yarn/wool using single crochet, a beanie embellished with a flower and a bear hat using the 'puff stitch' see similar pattern HERE, but I only did it 3x. The bear hat was made using bamboo cotton which was from Turkey and the brand is 'Nako'. I don'thave any patterns for these as I like to make things up as I go along. But I will try to jot things down in the future. 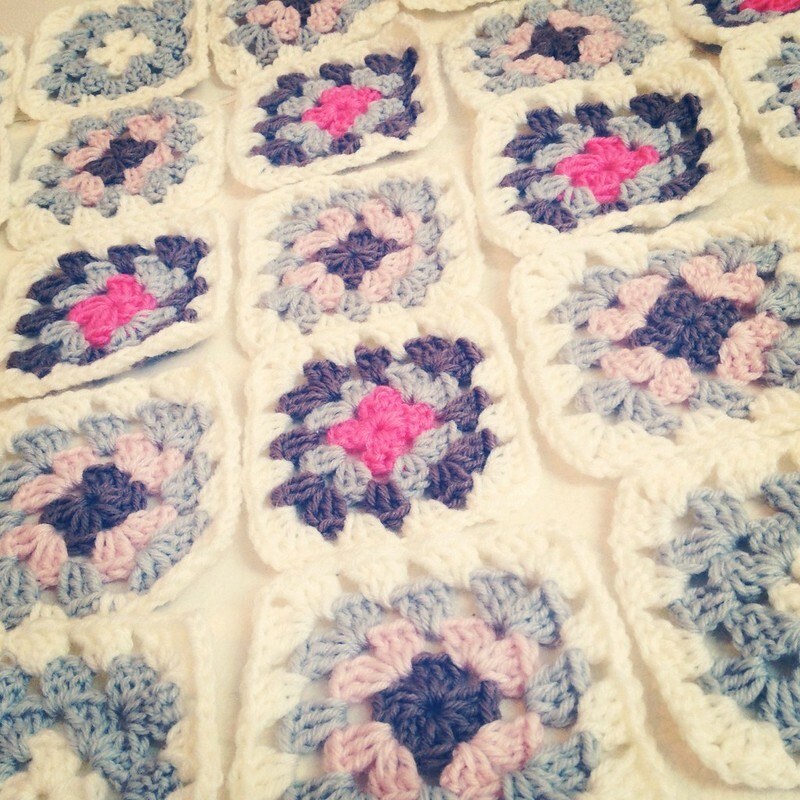 My most recent project is this traditional grannysquare blanket for Winter! The possibilities for Granny Squares are endless! Buy yourself some cheap yarn and a crochet hook. (You can get these from Craft shops, department stores and 'Bits &Bobs' shops. If you know anybody who knows how to crochet, see if you can sit with them for an hour as it REALLY helps to grasp the basics. Pick a project, I would strongly recommend doing a giant traditional granny square blanket, like the one I made HERE. It comes together really quickly and it's constant repetition so perfect for beginners. Follow THIS pictorial to make life easier. Watch THIS tutorial on YouTube to help you master the granny square. 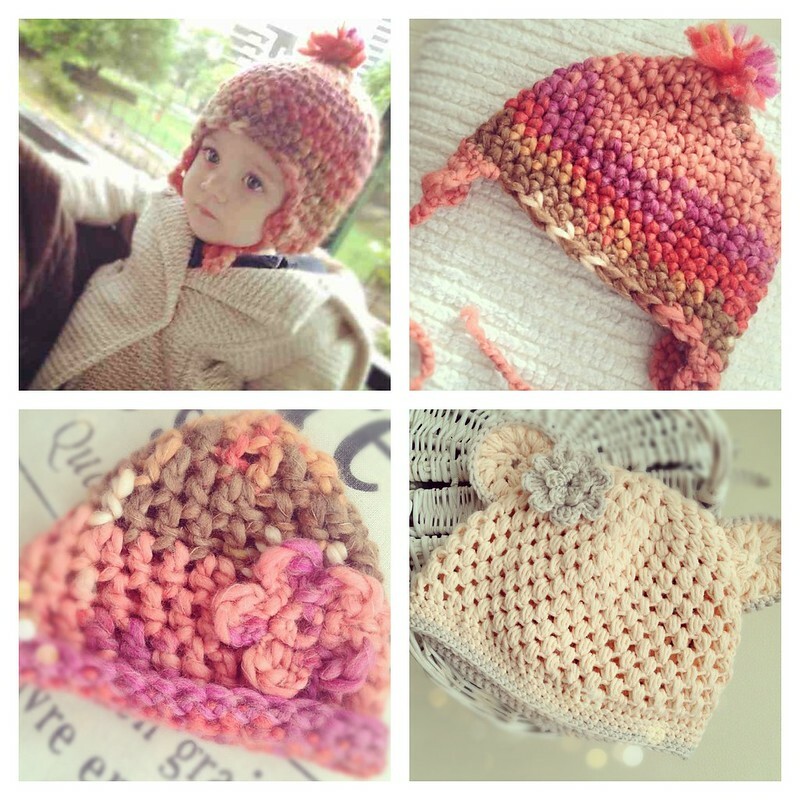 Infact, type in anything, crochet hat, crochet blanket, crochet cushion etc to get inspired. Good ol' YouTube! Check out some blogs! 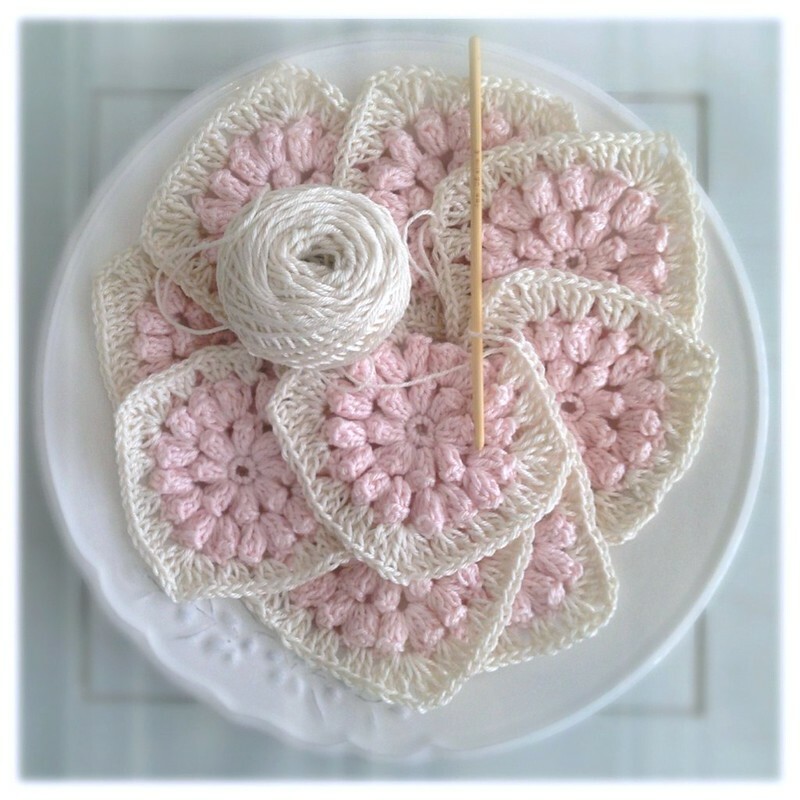 I recommend, Millie Makes, Home Bird, Shopaholic Jo, Bunny Mummy and why not checkout my Pinterest 'Crochet' board for extra inspiration. 100 Flowers to knit and crochet - Lesley Stanfield. Don't give up and keep practicing! Beautiful crochet Mushine. I too have started to learn about 3 weeks ago and have made a giant granny square blanket in 1 week! I couldn't put it down. Am now on second blanket, working on same as you but in pinks. I LOVE it so very addicted and have lots of projects planned! Thanks for posting this! Can you please recommend places in London to buy affordable crochet hooks / yarn. I've tried once and found out it's not for me. But I love crochet stuff!! Love it. Love the concept. There are only 2 girls in my household - including myself and there are 4 males so I don't think I can do this. Although, we do have a crochet blanket in our living room. Just a hint of girly-ness plus the fake flowers! What has happened to this blog? 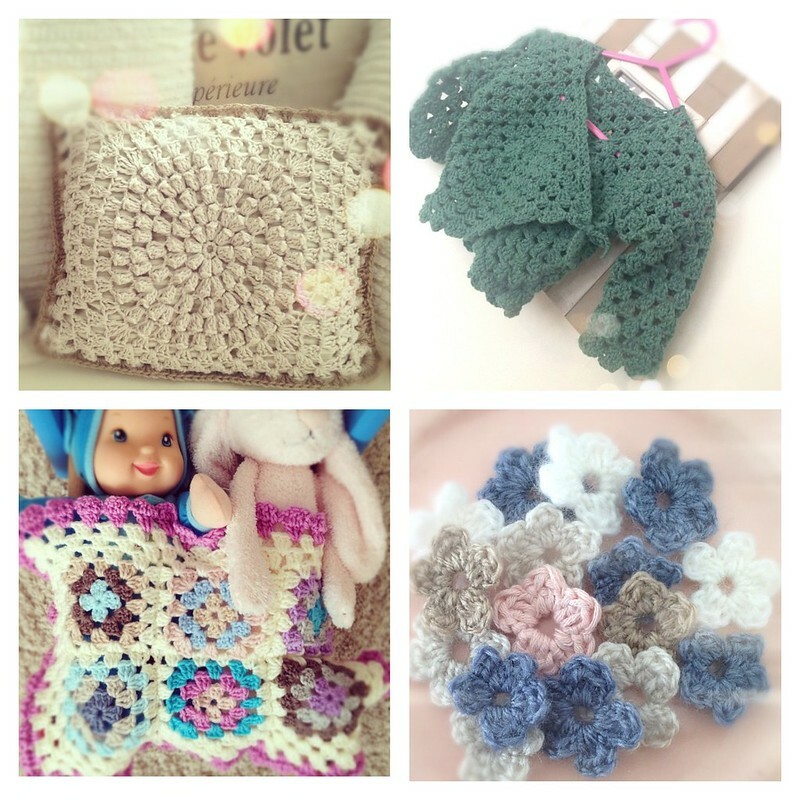 It used to be about make up, now it's babies abd crochet! I love crochet! I used to do many things with my grandma! Good job! You are such a great mummy! And your daughter looks like a little doll. I love all these thing you've made. Such pretty colours. I wish I could crochet. aw this is sooo cute, i want a mint crotched jumper, wish i was as brill as you are!! Such a fantastic hobby. Wish I was as crafty as you are. I would love to learn to crochet - I know how to knit, so it shouldn't be that hard, but I just feel so overwhelmed by it all D: I would love to be able to make a granny square blanket one day. Hi, I looooovvve ur blog and in awe of ur many talents :) I've started crocheting recently and am struggling to find a decent yarn outlet- online or otherwise. Do you know of any good ones? me encanta el crochet! mi madre esta todo el rato haciendo cosas, a ver si me enseña de una vez! You've really inspired me and so far I've managed a square a day. I can't wait until I have enough for a blanket! It's going to be so cute. Thank you. I was wondering if you would share what colours these pink and white are in the sublime Egyptian cotton? 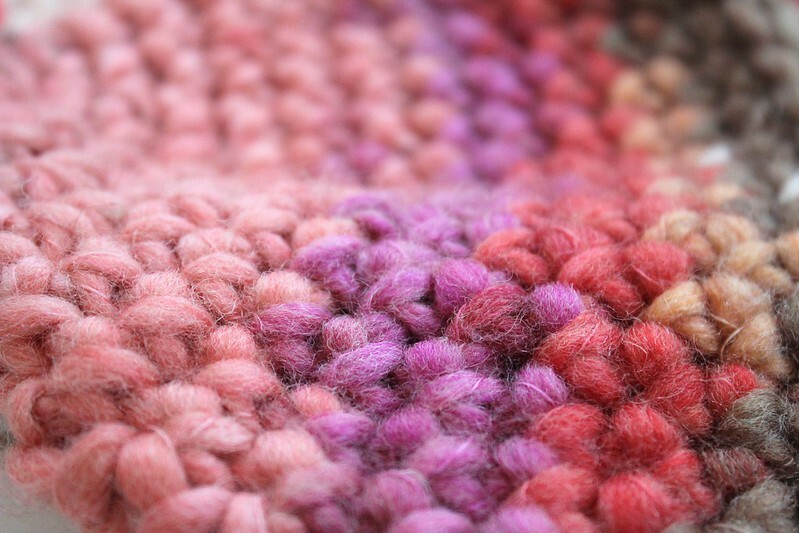 Hi there, which colours of the sublime Egyptian cotton did you use for the pink and white puff flower granny squares?